Have you ever had a serious issue with your blog that prevented you from accessing it? I have and it’s a truly horrifying feeling. Even worse, has your blog been hacked or “broken” when you did not have a backup plugin installed? Then you realized that you had lost everything and had to start all over. This can be a nerve-wrecking experience! How many people do you think would actually start their blog all over again if they had no way to restore it? If you lose a blog that’s a few months old with a few hundred posts, it’s possible to start over. However, losing a blog that’s a few years old with thousands of posts can be devastating – some people might even give up. Luckily, this doesn’t have to be your sob story if you’re using a WordPress plugin to backup your blog on a regular basis. Even better, you won’t have to worry about losing backups stored remotely because you can also backup to various cloud services. Whether you’re a fan of Dropbox, a subscriber of Amazon S3, or prefer Google Drive, these plugins will help to backup and store your blog on your preferred cloud service. You’re probably already familiar with ManageWP’s ability to backup your blog. Just to reiterate, with a ManageWP account you automatically backup your blogs to Dropbox, Amazon S3, Google Drive (as well as other locations). Just set up a daily, weekly or monthly schedule and ManageWP will take care of the rest for you. As an added bonus, you can choose to optimize your databases before backup. This plugin doesn’t just backup your blog to a single cloud storage service — you can choose any one of their 10 options. SMEStorage gives you the ability to encrypt and schedule your backups. If you’re looking to create archives of all your WordPress data and files, as well as back them up to the cloud, WP Time Machine is for you. You can back up your MySQL databases, uploads, .htaccess file and more to Dropbox, Amazon S3 or your FTP host. As a bonus, the plugin provides instructions for a “smooth recovery”. This is great if you need help recovering your blog from being hack, a database crash, etc. It’s important to note that WP Time Machine requires PHP5 to backup to the cloud. With PHP4, you can only back up to FTP. Not to be confused with the original Updraft, UpdraftPlus can backup your uploads, themes, plugins and databases. Unfortunately, the original Updraft plugin will only backup WP core tables and does not include charset information. 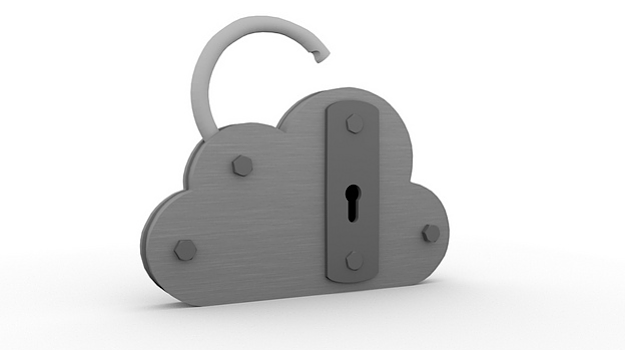 With UpdraftPlus, your databases are encrypted and you can choose to backup to Amazon S3, Google Drive, FTP, or email. You can even set up two different schedules – one for your file backups and another for your database backups. Although not a free tool, all of BackupBuddy’s useful features make it worth the price. You can use it to backup your blog to Amazon S3, Dropbox or RackSpace Cloud. BackupBuddy makes it easy to restore your site if it is broken or hacked with their RepairBuddy BETA feature. Plus, you can even move your backed up site to another server from your blog dashboard. MultiSite BETA is another awesome feature they have that lets you import and export your blog in and out of a Network. With these features and more, it’s easy to see why many WordPress users prefer BackupBuddy over the rest. BackupBuddy will run you $75 for 2 licenses, $100 for 10 licenses, or $150 for unlimited licenses. BackWPup – Schedule backups to Amazon S3, Google Drive, Microsoft Azure, RackSpace Cloud, Dropbox or SugarSync; also provides multi-site support and can also check, optimize and repair your databases. Cloudsafe365 – A free online backup solution for your blog that can backup your files and images, plugins, themes and databases to Dropbox. PressBackup – A multi-site backup tool that will automatically backup your themes, plugins, uploads and databases to Amazon S3; requires a paid subscription, but also includes version control and server migration. Google Drive for WordPress – A simple tool for scheduling backups of your files and databases to Google Drive; you will need to create a Google API key and client ID. What plugin or tool do you use to backup your WordPress blog? Interesting read but one of the crucial questions we keep being asked as another company that does IT support and backup services, is whether the memory is encrypted. Its assumed nowadays much of the memory that customers want backed up is personal or confidential. Without entering too far into the details, questions asked are: “will someone be viewing my files in backup”, “can anyone view my files in backup”, “how secure is the backup from getting my personal files out there?”. Especially in the world of today were there is just so much theft of personal internet files, specifically from Apple’s Icloud services last year. This is a topic that needs to be addressed. Yeah, it’s one of the reasons we redesigned ManageWP backups and added additional security measures in the Orion release of ManageWP. WHY doesn’t it back up to RackSpace Cloud Storage? Ugh! I have BackupBuddy – a developer’s license – but I was hoping to simplify and not have to renew it, and just use ManageWP. I want to be plugin Google Drive for WordPress but I did not know how to plugin it. Anyone can help me? I am waiting for response. But I’d like to add one very important member ie Jelastic. Deploying wordpress in Jelastic , I found super easy and I am mainly impressed by its durability. I use Updraft Plus with dropbox. I see my backup of my plugins, themes, and picture uploads but not any actual writing. I don’t care about the themes and plugins since i usually use free ones but I do care about my writing. Where are my blog posts? I want to make sure the writing can be restored if anything goes wrong. Do i have the wrong plugin? Thanks! WordPress saves your writings and Blog posts all within the SQL Database, not within actual files. So, if your writings are what you want to keep then make sure to configure the Database Backup instead of the Core and Files backup… Updraft Plus is a good plugin and is also capable of backing up the Database. The problem with the first two you mentioned, SMEStorage Multi-Cloud WordPress Backup & WP Time Machine, is that they haven’t been updated in a very long time. I’m always skeptical about using a plugin that is not regularly updated. For the SMEStorage one it has been over a year! Great list! Another one to add is MyRepono.com (I have no affiliation with them). I’ve been using this for a couple of months on our portfolio of WordPress sites and have found it a reliable service, especially with the latest version of the WordPress plugin I was previously using BackWPup but found it unreliable when backing up to Dropbox. Thanks for sharing Kevin. I haven’t heard of MyRepono, but will check it out.